Hall Pass from the SAP? 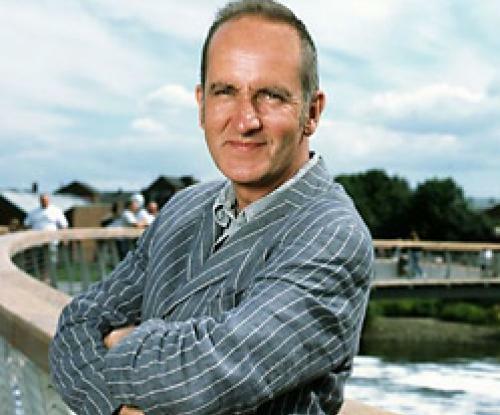 The thinking lady’s crumpet, Kevin McCloud. Chill, I’m not referring to a sexual hall pass (before the SAP chokes on his chai and starts spluttering about the sixth commandment). Following a discussion with hubby Big T about thinking lady’s crumpet (TLC) Kevin McCloud, it started me thinking about boundaries. Which is the husbandly equivalent of ‘don’t push your luck.’ Whilst feminists may get upset about Biblical references to ‘obeying husbands’, I find great delight (as a somewhat feisty woman) in a husband who gives me immense amounts of lassitude but, on rare and specific occasions, says, “Nope. You, woman, are mine!” That’s when my ‘thinking lady crumpet’ side gets all overcome and fluttery and swoons in a far more ‘Georgette Heyer-type’ way. Toddlers need boundaries. Me too. But I do have a hall pass. The best bit is, I’m married to him. So, anyway, back to hall passes and the SAP. In regards to my getting rid of Christian and religious hangovers, he doesn’t give them out either. Believe me, I tried. Certain teachings I have serious issues with. Tough. Deal. Grow. No hall passes. Like the Kingdom of Heaven. 1 Corinthians 15: 51-53: But let me reveal to you a wonderful secret. We will not all die, but we will all be transformed! It will happen in a moment, in the blink of an eye, when the last trumpet is blown. For when the trumpet sounds, those who have died will be raised to live forever. And we who are living will also be transformed. For our dying bodies must be transformed into bodies that will never die; our mortal bodies must be transformed into immortal bodies. Thing is, this immortal glory only comes if you’ve chosen Jesus and God. Bit of a slap on the face on this journey when your Mother has died and you know she certainly hadn’t made that choice whilst living. So she is, umm, where? 4 letters. Rhymes with bell? Really? In my utter teenage rebellion I may have told her to go there. Yet if you believe you choose the life you live (as I do), then my Mum chose a hard road. She may not have embraced the J-man, but, God, she did the best she could with the tools at her disposal. If you are never told the path you can choose, how can you be ‘punished’ for not choosing it? Where were those Christian evangelists as, alone and heart-broken, she reached for the Temazepam? Keller writes that hell is the freely chosen, eternal skid row of the universe. If you read my earlier blogs, you will perhaps understand the eternal skid row my Mum had chosen in life. Denial. Marriage and relationship breakdowns that ‘came out the blue’ because confronting how you really felt (or feared) was not the ‘done thing’ back then. Today I wonder if my Mum had a SAP, would life have been different? I suspect so. But you play the hands you are dealt. Whether she brought up a resilient child intentionally or as an accident of circumstance, who knows? But denial is how I see my Mum’s hell. And my mind warred with what she did not know. How could I dream of her resurrection body if denial was her modus operandi? I realised I sat in my Mum’s version of hell. Denial. The same banality over and over and over. And in this lucid dream my heart wept a little because my past five months have shown what more there can be. That there is beauty beyond the eternal skid row we create. I was reminded of Robin Williams in ‘What Dreams May Come‘, who descends into hell to rescue his wife. Unpacking Jesus in my life, I have prayed that the dead and dying who do not yet know Him may have some of my grace, freely given. My own version of a hall pass. If I have been wrapped in grace from accepting Jesus, then can I ‘pay it forward’ so less fortunate can take some of the same love and protection? Wide awake I’ve been a bit bemused by the ‘laying hands on’ stuff – blame the British stiff upper lip. Laying on of hands is used in Christianity as both a symbolic and formal method of invoking the Holy Spirit. And now I was dreaming it. Lucidly. Okaaay. So there, in this dream, up I get and wander around the long trestle table, in what can only be described as a retirement home cafeteria. Mum looks up. “Hello, Philly,” she says quite complacently. “I’m just having a cup of tea.” Then in this bizarre lucid dream I introduce her to the SAP. I place one hand upon my Mother’s shoulder. Now what? I hear the SAP praying, but for the life of me I cannot recall the words now. His hand rises to touch my shoulder. And in that split-second before final contact I know. During the lucid dream, I remember tensing every fibre in my body. Then the circuit connects. Have you ever seen the opening seconds of the X-Men movie credits, when the ‘mutation’ flies through an organ’s vessels, all its energy snapping and synapses firing? That. Firing through my body, out my hand and into the next circuit connection. Hi Mom. Then the bit that astounds me. As the SAP prays in this lucid dream, as my hands touch my Mom’s shoulder, precisely in that moment of the SAP’s hand connecting with my shoulder, and the synapses firing, I fly awake. G-force shocked, my eyes fly open. Jolted, pushed, shaken and stirred out of lucid dreaming into the now. Present. A gift, even. Hi Mom. There you are. Enjoy that resurrection body. I’m glad you made it off skid row. This possibly doesn’t gel with the SAPs biblical teachings. But you know what? On this one, I’m grabbing the hall pass. With both hands. Because you seriously cannot dream this stuff up.